Ganesh Chaturdhi is one of the greatest celebrated festivals of India. The tradition of dipping the Lord Ganesh’s idol, after a certain period of worship is coming from many years. 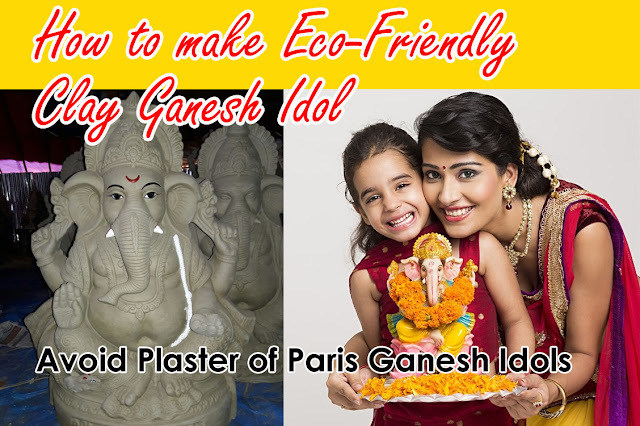 However, the use of Plaster of Paris (POP) in making the idols is posing a severe threat to the water bodies. The Ganesh idols made up of Plaster of Paris contaminate the water when they are immersed. The chemical paints present on such idols further add more to water pollution and threat to aquatic life. Plaster of Paris (POP) is not a naturally happening material and contains gypsum, sulfur, phosphorus and magnesium. The idols take several months to melt in water and in the procedure poison the waters of lake, ponds, rives and seas. The chemical paints used to beautify the Ganesh idol contain mercury, lead, cadmium and carbon and this rises the acidity and heavy metal content in the water. Several accessories used during the Ganesh Puja like thermocole, plastic flowers, cloth, incense, camphor and numerous other materials have been dumped carelessly adding more strain to the already polluted rivers and lakes. Uncaring dumping of Ganesh idols in waterbodies blocks the natural flow of water. This results in stagnation and breeding of mosquitoes and other damaging pests. The polluted water reasons numerous diseases including skin diseases. The pollution from Ganesh Chaturthi idols also damages the ecosystem, kills fishes and water plants. In many areas, the same polluted water gets pumped into homes. • Use eco-friendly clay idols colorless or painted with natural colors. 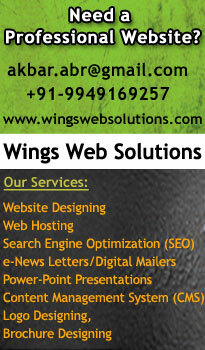 • Avoid using plastic covers, thermocols and other unnecessary stuff for decoration. • Avoid public waterbodies to immerse small idols, instead immerse idol in bucket or tub at home. • The left ended clay and the water can be later used in the garden. Let us see that our Worship doesn’t become a blind reason for environmental pollution. Practice eco-friendly procedures in your daily life. Help save the planet Earth !